Not for the faint-hearted, this bucket list tour showcases the best of South Australia. 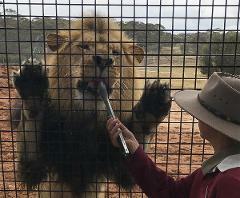 Three iconic experiences in Monarto Zoo's Lions 360 Walk of the Brave, Hahndorf township & National Motor Museum all rolled into one exhilarating day. An introductory scenic helicopter flight, famous wineries with some of the oldest and rarest Shiraz vines in the world, the land of the long lunch, and a wall that whispers to you. This is the best of the Barossa. 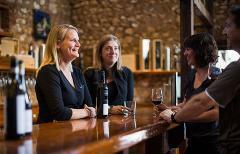 Wine has been a way of life in Barossa since 1842. Fast forward to today, & Barossa is home to more than 550 grape growing families, many with the sixth generation still working the same plot of land. Hear their stories. Taste their wines. Discover the highlights of this 130 million-year old natural playground with slow waters, sandy cliffs & steadfast characters. This tour is rich in Aboriginal heritage, allows you to cruise the river, meet the wildlife & the farming locals. Adventure and fun awaits ....ice cream, playground crawl, nature walk, museum history, music (karaoke mind you!) & a healthy refuelling lunch! This tour ticks all the boxes for your child's next party. If you love craft beer, make a day of it & quench your thirst! 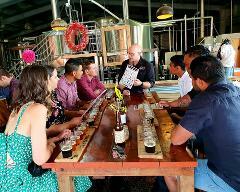 Rich in history and flavour, the Adelaide Hills region is blessed with passionate locals brewing. Discover their innovation as you tour through these unique working spaces. Langhorne Creek - home to the famous Lake Doctor, an enormous basket press made from ancient local trees, and the first winery in Australia to be owned and run by sisters. Topped off with a wander in Strathalbyn, the antique capital of SA! Action packed day of SA's first river ferry crossing, The Bend Motorsport, giant silo art (selfie's a MUST! ), a celebrated Coorong Mullet seafood experience & the story of local Aboriginal heritage famously featured on Australia’s $50 note.